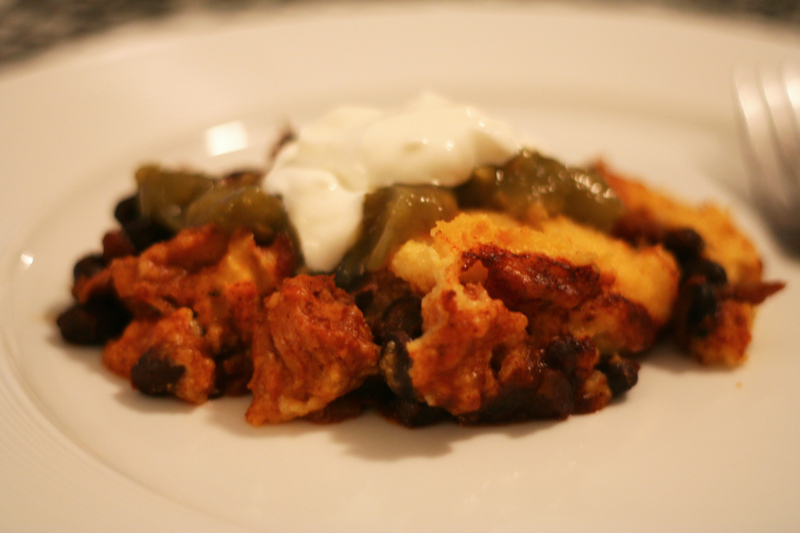 Tamale pie? Um yes please! I was perusing through recipes to see if anything different jumped out and found this gem. 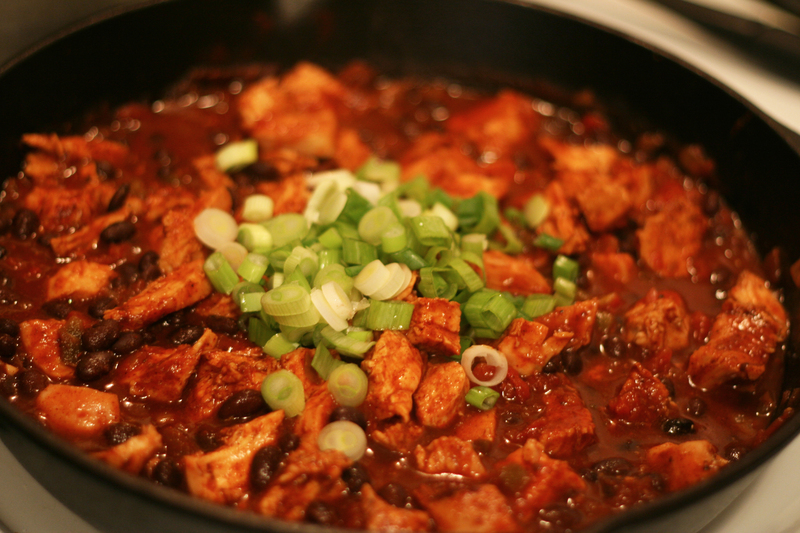 Pretty simple to make, really flavorful, and deliciously spicy (only if you want it to be)! Get at this! First cook the chicken, I usually bake skinless, boneless chicken breasts in the oven at 350 degrees for about 25 minutes. Once cooked through, remove from the oven and cut into pieces. 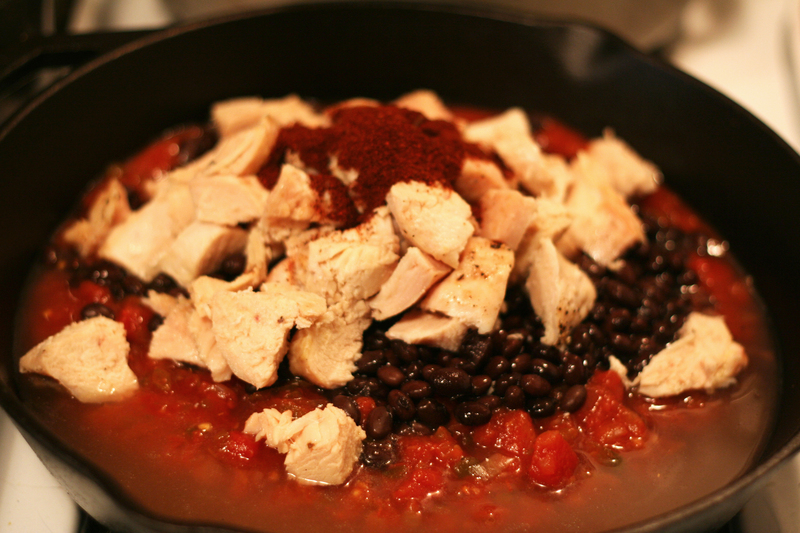 Then preheat the oven to 400 degrees F. Next add the cooked chicken, salsa, beans, 1/2 cup of the broth and the chili powder to a 10-inch cast-iron skillet over medium heat. Then stir in the scallions and remove from the heat. 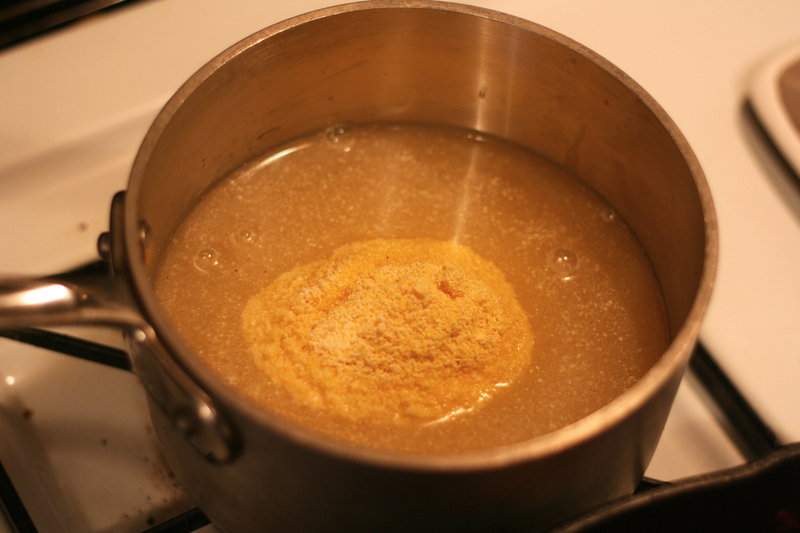 Meanwhile, combine the cornmeal with the remaining 1 cup broth and 1 cup water in a medium pan. 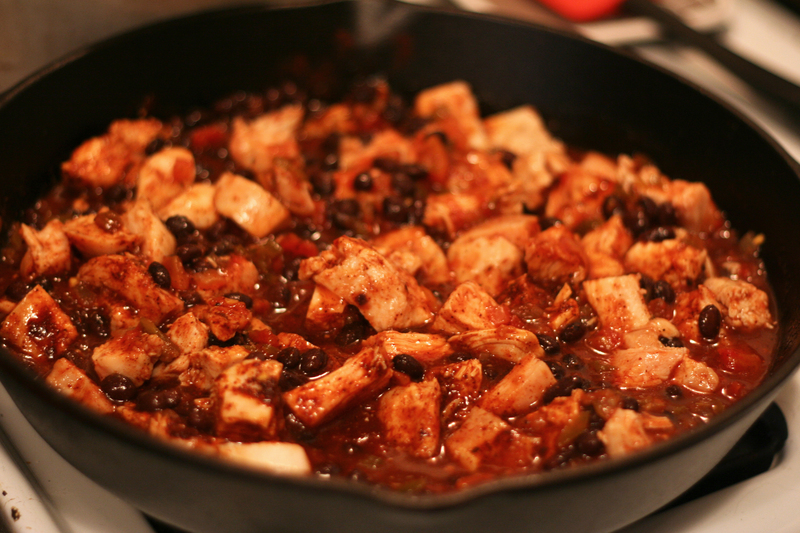 Bring to a simmer over medium heat, stirring, until very thick, 5 to 7 minutes. Remove from the heat and stir in the cheese and butter. Season with 1/4 teaspoon salt and 1/4 teaspoon pepper. 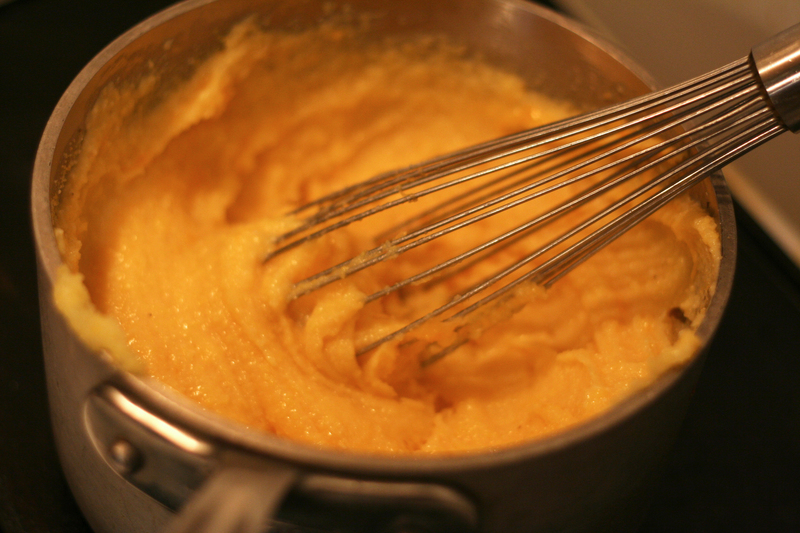 Spread the cornmeal mixture over the filling and bake until cooked through, about 30 minutes. My skillet is bigger than the 10 inches recommended for this recipe, oops. 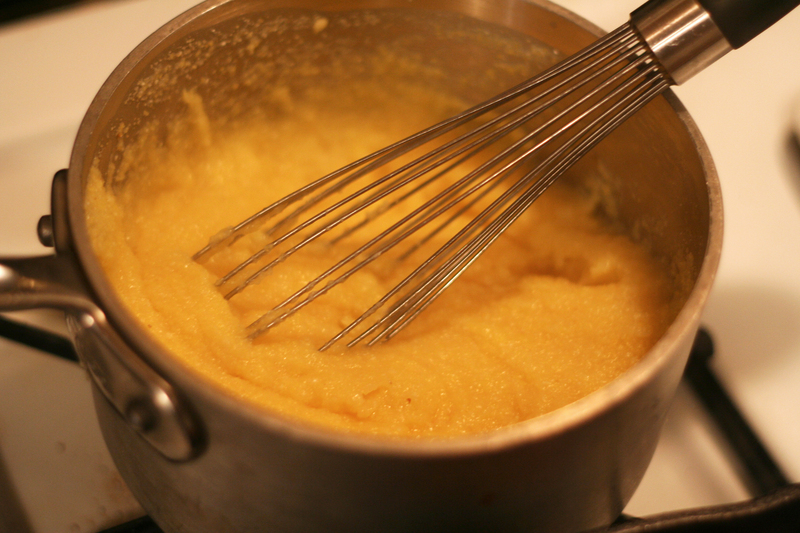 So the cornmeal mixture should look thicker than below. Let stand for 15 minutes. 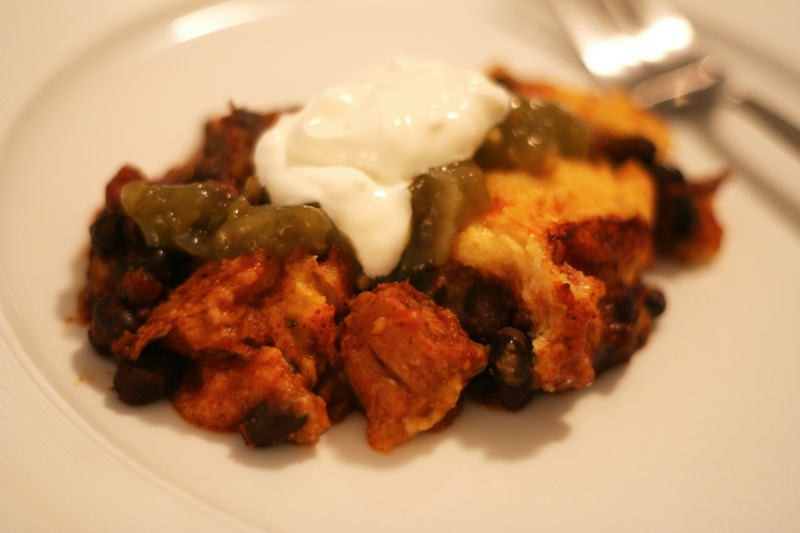 Serve with sour cream and I put some green salsa in there too for good measure! 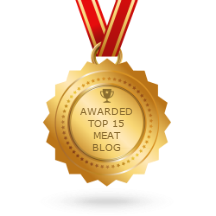 Original recipe here! 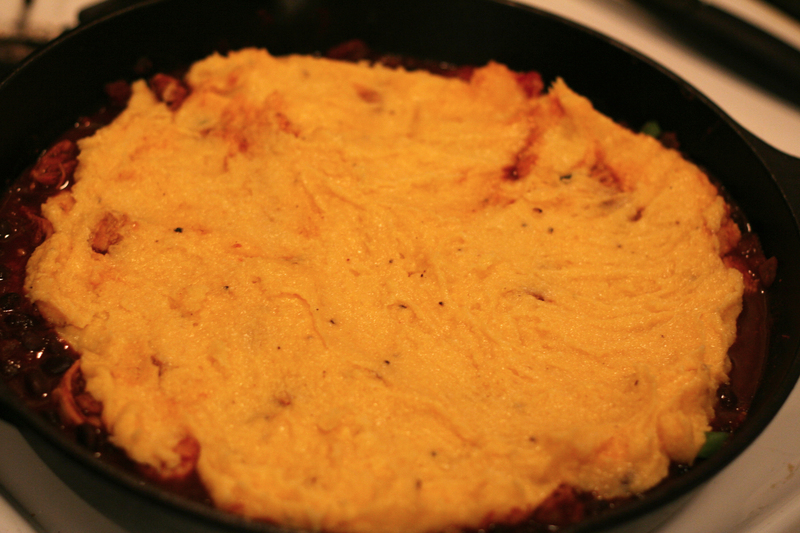 Have not heard of Tamale pie, but will definitely try and make it myself.